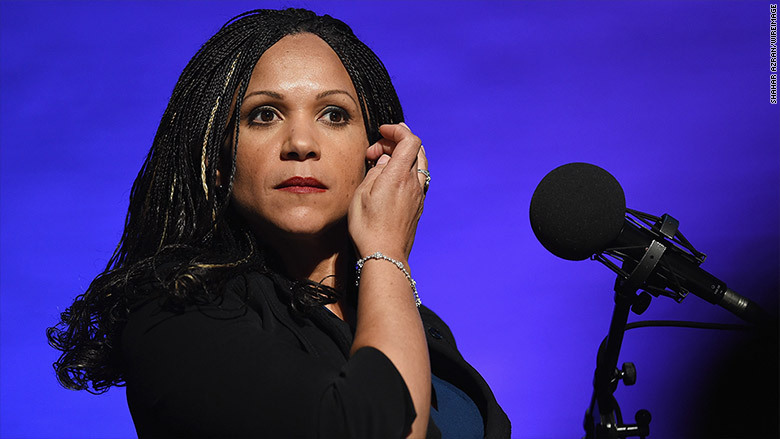 MSNBC's Melissa Harris-Perry is refusing to host her show this Saturday due to weeks of pre-emptions that she says have left her "silenced." In an email to her staff that was posted on Medium, Harris-Perry said she felt "worthless" in the eyes of NBC News executives after consecutive weeks in which her show was replaced by general news programming. The letter, which began "Dearest Nerds," read, "Here is the reality: Our show was taken — without comment or discussion or notice — in the midst of an election season. After four years of building an audience, developing a brand and developing trust with our viewers, we were effectively and utterly silenced." Harris-Perry, who is black, also appeared to accuse NBC News Chairman Andrew Lack and MSNBC President Phil Griffin of a racial motivation, writing: "I will not be used as a tool for their purposes. I am not a token, mammy, or little brown bobble head. I am not owned by Lack, Griffin or MSNBC. I love our show. I want it back." However, in a subsequent interview with the New York Times, which was the first to obtain the letter, Harris-Perry said, "I don't know if there is a personal racial component," and added, "I don't think anyone is doing something mean to me because I'm a black person." Her letter noted that despite her tenure on the network and political background, she has been "shut out" of coverage of the presidential campaign. "I have been deemed less worthy to weigh in than relative novices and certified liars," she wrote. MSNBC began consistently pre-empting Harris-Perry's show earlier this month without any notice to the viewers. At some point earlier this month, Harris-Perry removed the MSNBC host title from her Twitter biography. Harris-Perry said that MSNBC decided to put her back on the air this weekend in part because CNNMoney "made repeated inquiries" to both Harris-Perry and NBC last week to ask if the show had been canceled. NBC spokespeople said the show had not been canceled, but did not explain the pre-emptions. In a statement on Friday, NBC attributed the pre-emptions to the 2016 presidential campaign: "In this exciting and unpredictable presidential primary season, many of our daytime programs have been temporarily upended by breaking political coverage, including M.H.P.," they said. The network added, "This reaction is really surprising, confusing and disappointing." It's not clear if Harris-Perry will be returning to the show. Harris-Perry's eponymous show, which premiered four years ago, airs on Saturdays and Sundays from 10 a.m. until noon. Diversity has always been a point of pride for Harris-Perry and her producers, and the show has long been a destination for voices and conversations that are rarely, if ever, heard on other television news programs. Harris-Perry, who is also a professor at Wake Forest University, is the only tenured professor with a regularly scheduled cable news program. Her show gained a loyal following of fans who tweeted along each weekend using the hashtag #NerdLand, celebrating the intellectual nature of Harris-Perry's hours on TV. Harris-Perry's show is higher-rated than some of MSNBC's weekday shows, but remains plagued by the same ratings woes that have hit MSNBC as a whole in recent years. The program routinely ranks third behind Fox News and CNN.